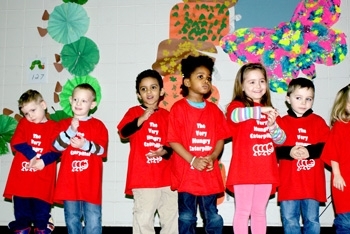 Students in the Elizabeth Lee Black School took to the stage to perform their rendition of The Very Hungry Caterpillar on Friday, March 22 at the Barber National Institute. Staff, faculty and families gathered in the gym to watch the performance, which concluded a program with the Erie Playhouse to provide students opportunities to participate in the performing arts. The production of Eric Carle’s beloved children’s classic follows a young caterpillar as it eats its way through the stages of growing into a beautiful butterfly. 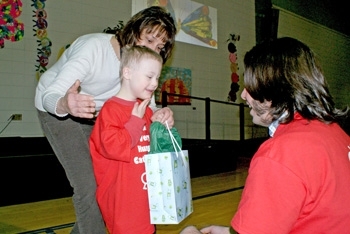 Through the program, volunteers and staff from the Erie Playhouse joined faculty from the school to teach preschool and school-aged children basic performance skills. 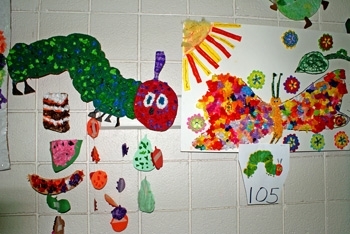 Others created colorful artwork for backdrops and set decorations. This marks the fourth year for the program, which is funded through ArtsErie and the Schuster Re-Grant Initiative with Gannon University.